Need Appliance Repair in Far East area today? Call us for same day service. For those in the Far East area of Columbus, noticing when you need repairs for your appliances can help you save money. Fixing a broken appliance at the start can often prevent the need for a costly replacement appliance. Paying attention to how well your appliances are performing is a good idea if you want to make sure that you don’t end up footing bills that are higher than they’d have to be. Keeping a look out for the signs that you need repairs can help you to ensure that you get the most out of your appliances and keep your wallet protected. At Columbus Appliance Masters, we’re here to help the Far East folks keep things running right. There are quite a few obvious signs that you may need appliance repairs in your Far East home. For one thing, some of your appliances may stop working altogether. For example, if your dishwasher won’t turn on, then you know it’s time to opt for appliance repairs. While you may think that putting off dishwasher repairs and washing your dishes by hand will save you a bit of money, the truth is that you may end up paying more on your water bills by doing things this way, since dishwashers are more efficient than hand washing. If it’s obvious that your appliance is broken, then you need to secure dishwasher repairs right away. Having your dishwasher up and running again will be more energy efficient and cut down on water usage, and you won’t have to drive all over Columbus looking to buy a new one and spend a large amount on a replacement unit. Sometimes, the signs that you need repairs for your Far East home appliances are not so obvious. Many appliances will still turn on but will not function in the appropriate way, and this could cause you serious inconvenience as well as increase your household bills. As such, you should look for signs that they’re not working to the best of their ability. One of the major signs that you need appliance repair can actually be found in your Columbus energy bills. While you may not have noticed that it takes your dryer a lot longer to get your clothes dry, you will definitely notice a rise in the costs of your electricity bills if cycles are taking longer. When you first start to notice that your costs are rising, it’s a good idea to begin looking around your home to see if your appliances are performing in top condition. If your AC is working too hard, then this might be causing your bills to increase, and you may need to consider air conditioner repair. If you don’t take the initiative to hire local, Far East area appliance repair professionals right away to secure expert air conditioner repair, then you could stand to lose a lot of money in the long run. Columbus Appliance Masters Loves Helping Our Far East Area Neighbors! The best way to make sure that your finances are protected is to get repairs as soon as you can. While you may think that you can save some money by putting off refrigerator repair, the truth is that waiting usually ends up costing you more. Appliance problems can go from bad to worse in no time at all, so it’s best if you don’t take any chances. You should either find a way to perform refrigerator repair on your own at home, or you should contact a professional repair service to help you get your home appliances running in good condition once more. If you’re not sure who to call, ask your Far East area neighbors for a recommendation. There’s a good chance you’ll hear the Columbus Appliance Masters name come up. Columbus Appliance Masters gives a 3-hour scheduled appointment window so you don’t need to wait for a very long time. We always think with regards to your convenience so our mechanics will call you 20 minutes before they arrive at your local area. If you currently do not have any cash and you needed the fixes badly, we are taking all major credit cards. 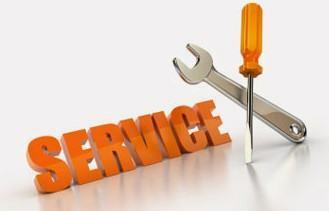 The finest thing regarding our services is that all appliances will be fixed at your location. All the components that we need are already in our trucks. If we don’t have the parts that your appliances need, we will not be charging you with extra fees for the return trip. Our purpose is to finish the work appropriately without adding any extra charges. Before you make an scheduled appointment with us, tell our staffs that you found us on the web and you’re from the Far East area so you can get 15% discount. Before we make any kind of fixes, we make sure that a written estimation is given to our customer so they can decide whether to go on with the repairs or not. We also have the ideal and the most helpful phone staffs to help you any time you’ll need help. Just give us a call and inquire with regards to everything that you’ll need to know. For those in the Hilltop area of Columbus, noticing when you need repairs for your appliances can help you save money. Fixing a broken appliance at the start can often prevent the need for a costly replacement appliance. Paying attention to how well your appliances are performing is a good idea if you want to make sure that you don’t end up footing bills that are higher than they’d have to be. Keeping a look out for the signs that you need repairs can help you to ensure that you get the most out of your appliances and keep your wallet protected. At Columbus Appliance Masters, we’re here to help the Hilltop folks keep things running right. There are quite a few obvious signs that you may need appliance repairs in your Hilltop home. For one thing, some of your appliances may stop working altogether. For example, if your dishwasher won’t turn on, then you know it’s time to opt for appliance repairs. While you may think that putting off dishwasher repairs and washing your dishes by hand will save you a bit of money, the truth is that you may end up paying more on your water bills by doing things this way, since dishwashers are more efficient than hand washing. If it’s obvious that your appliance is broken, then you need to secure dishwasher repairs right away. Having your dishwasher up and running again will be more energy efficient and cut down on water usage, and you won’t have to drive all over Columbus looking to buy a new one and spend a large amount on a replacement unit. Sometimes, the signs that you need repairs for your Hilltop home appliances are not so obvious. Many appliances will still turn on but will not function in the appropriate way, and this could cause you serious inconvenience as well as increase your household bills. As such, you should look for signs that they’re not working to the best of their ability. One of the major signs that you need appliance repair can actually be found in your Columbus energy bills. While you may not have noticed that it takes your dryer a lot longer to get your clothes dry, you will definitely notice a rise in the costs of your electricity bills if cycles are taking longer. When you first start to notice that your costs are rising, it’s a good idea to begin looking around your home to see if your appliances are performing in top condition. If your AC is working too hard, then this might be causing your bills to increase, and you may need to consider air conditioner repair. If you don’t take the initiative to hire local, Hilltop area appliance repair professionals right away to secure expert air conditioner repair, then you could stand to lose a lot of money in the long run. Columbus Appliance Masters Loves Helping Our Hilltop Area Neighbors! The best way to make sure that your finances are protected is to get repairs as soon as you can. While you may think that you can save some money by putting off refrigerator repair, the truth is that waiting usually ends up costing you more. Appliance problems can go from bad to worse in no time at all, so it’s best if you don’t take any chances. You should either find a way to perform refrigerator repair on your own at home, or you should contact a professional repair service to help you get your home appliances running in good condition once more. If you’re not sure who to call, ask your Hilltop area neighbors for a recommendation. There’s a good chance you’ll hear the Columbus Appliance Masters name come up. Do you hate waiting for a whole day for an appointment? This issue is already solved because Columbus Appliance Masters gives you a 3-hour appointment window. You will receive a call from the technicians 20 minutes before their arrival so you can easily adjust the time in case you are not in the house. All of our services are done on-site so the customers will see how we work with the fixes. All the components needed to fix your appliances are already accessible in our truck. If we do not have the components needed, we will go back to our workplace and obtain the components without extra fees. We also accept all major credit cards if you do not have cash. The first thing that we do is to check the difficulties on your appliances and make a written estimate on the expenses. This will help you decide if you will let us continue with work or not. It is possible to also get discounts on our services. Just claim that you found our services upon setting an scheduled appointment and you will get 15% discount. We have friendly and knowledgeable phone staffs that are always willing to answer your concerns and concerns. It is possible to ask them anything that you want to know about the services that we provide. For those in the Brookshire area of Columbus, noticing when you need repairs for your appliances can help you save money. Fixing a broken appliance at the start can often prevent the need for a costly replacement appliance. Paying attention to how well your appliances are performing is a good idea if you want to make sure that you don’t end up footing bills that are higher than they’d have to be. Keeping a look out for the signs that you need repairs can help you to ensure that you get the most out of your appliances and keep your wallet protected. At Columbus Appliance Masters, we’re here to help the Brookshire folks keep things running right. There are quite a few obvious signs that you may need appliance repairs in your Brookshire home. For one thing, some of your appliances may stop working altogether. For example, if your dishwasher won’t turn on, then you know it’s time to opt for appliance repairs. While you may think that putting off dishwasher repairs and washing your dishes by hand will save you a bit of money, the truth is that you may end up paying more on your water bills by doing things this way, since dishwashers are more efficient than hand washing. If it’s obvious that your appliance is broken, then you need to secure dishwasher repairs right away. Having your dishwasher up and running again will be more energy efficient and cut down on water usage, and you won’t have to drive all over Columbus looking to buy a new one and spend a large amount on a replacement unit. Sometimes, the signs that you need repairs for your Brookshire home appliances are not so obvious. Many appliances will still turn on but will not function in the appropriate way, and this could cause you serious inconvenience as well as increase your household bills. As such, you should look for signs that they’re not working to the best of their ability. One of the major signs that you need appliance repair can actually be found in your Columbus energy bills. While you may not have noticed that it takes your dryer a lot longer to get your clothes dry, you will definitely notice a rise in the costs of your electricity bills if cycles are taking longer. When you first start to notice that your costs are rising, it’s a good idea to begin looking around your home to see if your appliances are performing in top condition. If your AC is working too hard, then this might be causing your bills to increase, and you may need to consider air conditioner repair. If you don’t take the initiative to hire local, Brookshire area appliance repair professionals right away to secure expert air conditioner repair, then you could stand to lose a lot of money in the long run. Columbus Appliance Masters Loves Helping Our Brookshire Area Neighbors! The best way to make sure that your finances are protected is to get repairs as soon as you can. While you may think that you can save some money by putting off refrigerator repair, the truth is that waiting usually ends up costing you more. Appliance problems can go from bad to worse in no time at all, so it’s best if you don’t take any chances. You should either find a way to perform refrigerator repair on your own at home, or you should contact a professional repair service to help you get your home appliances running in good condition once more. If you’re not sure who to call, ask your Brookshire area neighbors for a recommendation. There’s a good chance you’ll hear the Columbus Appliance Masters name come up. Are you one of the folks who hate to wait for an scheduled appointment? Columbus Appliance Masters will give you a 3-hour scheduled appointment window. You will quickly receive a call from our technician regarding 20 minutes before they arrive to your local area. All of our services are done on-site so the customers will see how we work with the fixes. We already have all of the components needed for the repairs so you don’t have to buy from other stores. If we do not have the parts in our truck, we are getting them on our place without added charges. If you do not have cash, we accept all major credit cards. We provide 15% off our services to our neighbors from the Brookshire area as well if you will claim that you found us on the net once you make an appointment with us. We also conduct a free written estimation for our customers. This is done before we begin any repairs. This will help them decide whether to continue with repairs or not. If you require to inquire concerning our services, we have helpful and educated staffs that will help you. Give us call and ask anything that you want to know about us. For those in the Valleyview Heights area of Columbus, noticing when you need repairs for your appliances can help you save money. Fixing a broken appliance at the start can often prevent the need for a costly replacement appliance. Paying attention to how well your appliances are performing is a good idea if you want to make sure that you don’t end up footing bills that are higher than they’d have to be. Keeping a look out for the signs that you need repairs can help you to ensure that you get the most out of your appliances and keep your wallet protected. At Columbus Appliance Masters, we’re here to help the Valleyview Heights folks keep things running right. There are quite a few obvious signs that you may need appliance repairs in your Valleyview Heights home. For one thing, some of your appliances may stop working altogether. For example, if your dishwasher won’t turn on, then you know it’s time to opt for appliance repairs. While you may think that putting off dishwasher repairs and washing your dishes by hand will save you a bit of money, the truth is that you may end up paying more on your water bills by doing things this way, since dishwashers are more efficient than hand washing. If it’s obvious that your appliance is broken, then you need to secure dishwasher repairs right away. Having your dishwasher up and running again will be more energy efficient and cut down on water usage, and you won’t have to drive all over Columbus looking to buy a new one and spend a large amount on a replacement unit. Sometimes, the signs that you need repairs for your Valleyview Heights home appliances are not so obvious. Many appliances will still turn on but will not function in the appropriate way, and this could cause you serious inconvenience as well as increase your household bills. As such, you should look for signs that they’re not working to the best of their ability. One of the major signs that you need appliance repair can actually be found in your Columbus energy bills. While you may not have noticed that it takes your dryer a lot longer to get your clothes dry, you will definitely notice a rise in the costs of your electricity bills if cycles are taking longer. When you first start to notice that your costs are rising, it’s a good idea to begin looking around your home to see if your appliances are performing in top condition. If your AC is working too hard, then this might be causing your bills to increase, and you may need to consider air conditioner repair. If you don’t take the initiative to hire local, Valleyview Heights area appliance repair professionals right away to secure expert air conditioner repair, then you could stand to lose a lot of money in the long run. Columbus Appliance Masters Loves Helping Our Valleyview Heights Area Neighbors! The best way to make sure that your finances are protected is to get repairs as soon as you can. While you may think that you can save some money by putting off refrigerator repair, the truth is that waiting usually ends up costing you more. Appliance problems can go from bad to worse in no time at all, so it’s best if you don’t take any chances. You should either find a way to perform refrigerator repair on your own at home, or you should contact a professional repair service to help you get your home appliances running in good condition once more. If you’re not sure who to call, ask your Valleyview Heights area neighbors for a recommendation. There’s a good chance you’ll hear the Columbus Appliance Masters name come up. If you are not the type of person who wants to wait, Columbus Appliance Masters will provide you a 3-hour appointment window. Our service technicians will call you first before they go there. They will call you 20 minutes before they arrive. This is done to let you know that they are going to be coming. We are very popular in our area because we provide on-site fixes to our customers. We are going to be fixing your appliances in your home since all the components that we need are already in our truck. If we do not have the parts, we will get one without extra charges. We provide 15% off our services to our neighbors from the Valleyview Heights area as well if you will state that you found us on the net once you make an consultation with us. We have pleasant and knowledgeable phone staffs that are willing to help you anytime of the day. Just give us a call and inquire with regards to everything that you’ll need to know. For those in the Southwest area of Columbus, noticing when you need repairs for your appliances can help you save money. Fixing a broken appliance at the start can often prevent the need for a costly replacement appliance. Paying attention to how well your appliances are performing is a good idea if you want to make sure that you don’t end up footing bills that are higher than they’d have to be. Keeping a look out for the signs that you need repairs can help you to ensure that you get the most out of your appliances and keep your wallet protected. At Columbus Appliance Masters, we’re here to help the Southwest folks keep things running right. There are quite a few obvious signs that you may need appliance repairs in your Southwest home. For one thing, some of your appliances may stop working altogether. For example, if your dishwasher won’t turn on, then you know it’s time to opt for appliance repairs. While you may think that putting off dishwasher repairs and washing your dishes by hand will save you a bit of money, the truth is that you may end up paying more on your water bills by doing things this way, since dishwashers are more efficient than hand washing. If it’s obvious that your appliance is broken, then you need to secure dishwasher repairs right away. Having your dishwasher up and running again will be more energy efficient and cut down on water usage, and you won’t have to drive all over Columbus looking to buy a new one and spend a large amount on a replacement unit. Sometimes, the signs that you need repairs for your Southwest home appliances are not so obvious. Many appliances will still turn on but will not function in the appropriate way, and this could cause you serious inconvenience as well as increase your household bills. As such, you should look for signs that they’re not working to the best of their ability. One of the major signs that you need appliance repair can actually be found in your Columbus energy bills. While you may not have noticed that it takes your dryer a lot longer to get your clothes dry, you will definitely notice a rise in the costs of your electricity bills if cycles are taking longer. When you first start to notice that your costs are rising, it’s a good idea to begin looking around your home to see if your appliances are performing in top condition. If your AC is working too hard, then this might be causing your bills to increase, and you may need to consider air conditioner repair. If you don’t take the initiative to hire local, Southwest area appliance repair professionals right away to secure expert air conditioner repair, then you could stand to lose a lot of money in the long run. Columbus Appliance Masters Loves Helping Our Southwest Area Neighbors! The best way to make sure that your finances are protected is to get repairs as soon as you can. While you may think that you can save some money by putting off refrigerator repair, the truth is that waiting usually ends up costing you more. Appliance problems can go from bad to worse in no time at all, so it’s best if you don’t take any chances. You should either find a way to perform refrigerator repair on your own at home, or you should contact a professional repair service to help you get your home appliances running in good condition once more. If you’re not sure who to call, ask your Southwest area neighbors for a recommendation. There’s a good chance you’ll hear the Columbus Appliance Masters name come up. Are you one of the people who hate to wait for an consultation? Columbus Appliance Masters will give you a 3-hour scheduled appointment window. You will immediately receive a call from our technician concerning 20 minutes before they arrive to your location. We also work on-site so that the clients will see how we work with the appliance fixes. We already have all of the parts required for the repairs so you don’t need to purchase from other stores. If we don’t have the components in our truck, we are getting them on our place without added fees. We also accept all major credit cards if you do not have cash. The first thing that we do is to check the difficulties on your appliances and make a written estimate on the expenses. This will help you decide if you will let us continue with work or not. It is possible to also get discounts on our services. Just say that you found our services upon setting an consultation and you will get 15% discount. If you have any issues or queries with regards to the services that we are offering, you can contact us and our phone staff will handle all your worries. It is possible to ask them anything that you want to know with regards to our services. For those in the Briggsdale area of Columbus, noticing when you need repairs for your appliances can help you save money. Fixing a broken appliance at the start can often prevent the need for a costly replacement appliance. Paying attention to how well your appliances are performing is a good idea if you want to make sure that you don’t end up footing bills that are higher than they’d have to be. Keeping a look out for the signs that you need repairs can help you to ensure that you get the most out of your appliances and keep your wallet protected. At Columbus Appliance Masters, we’re here to help the Briggsdale folks keep things running right. There are quite a few obvious signs that you may need appliance repairs in your Briggsdale home. For one thing, some of your appliances may stop working altogether. For example, if your dishwasher won’t turn on, then you know it’s time to opt for appliance repairs. While you may think that putting off dishwasher repairs and washing your dishes by hand will save you a bit of money, the truth is that you may end up paying more on your water bills by doing things this way, since dishwashers are more efficient than hand washing. If it’s obvious that your appliance is broken, then you need to secure dishwasher repairs right away. Having your dishwasher up and running again will be more energy efficient and cut down on water usage, and you won’t have to drive all over Columbus looking to buy a new one and spend a large amount on a replacement unit. Sometimes, the signs that you need repairs for your Briggsdale home appliances are not so obvious. Many appliances will still turn on but will not function in the appropriate way, and this could cause you serious inconvenience as well as increase your household bills. As such, you should look for signs that they’re not working to the best of their ability. One of the major signs that you need appliance repair can actually be found in your Columbus energy bills. While you may not have noticed that it takes your dryer a lot longer to get your clothes dry, you will definitely notice a rise in the costs of your electricity bills if cycles are taking longer. When you first start to notice that your costs are rising, it’s a good idea to begin looking around your home to see if your appliances are performing in top condition. If your AC is working too hard, then this might be causing your bills to increase, and you may need to consider air conditioner repair. If you don’t take the initiative to hire local, Briggsdale area appliance repair professionals right away to secure expert air conditioner repair, then you could stand to lose a lot of money in the long run. Columbus Appliance Masters Loves Helping Our Briggsdale Area Neighbors! The best way to make sure that your finances are protected is to get repairs as soon as you can. While you may think that you can save some money by putting off refrigerator repair, the truth is that waiting usually ends up costing you more. Appliance problems can go from bad to worse in no time at all, so it’s best if you don’t take any chances. You should either find a way to perform refrigerator repair on your own at home, or you should contact a professional repair service to help you get your home appliances running in good condition once more. If you’re not sure who to call, ask your Briggsdale area neighbors for a recommendation. There’s a good chance you’ll hear the Columbus Appliance Masters name come up. If you are not the type of person who wants to wait, Columbus Appliance Masters will provide you a 3-hour scheduled appointment window. Our technicians will call you first before they go there. They will call you 20 minutes before they arrive. They are going to do this so you will know that they are coming. Our on-site service is one of the explanations why many individuals are always availing our services. All the parts that we need for the repairs are already in our truck so we can your appliances on-site. If we don’t have the components, we will get one without extra charges. If you don’t have cash, we are taking major credit cards so you won’t have problems with payment. If you’re planning to give us a call to ask anything, we have the best and the most educated phone staffs that will deal with all your queries. They will professionally answer all your questions. We will also be providing you a written estimation before we start the so you will have an idea about the price. It is possible to examine your finances first and decide in case you are going to continue with repairs or not. We will also provide you excellent discounts if you mention that you found us on the net. We will give you 15% discount on all repairs if you do this. You can save a lot of money on repairs for this fantastic deal. For those in the South Linden area of Columbus, noticing when you need repairs for your appliances can help you save money. Fixing a broken appliance at the start can often prevent the need for a costly replacement appliance. Paying attention to how well your appliances are performing is a good idea if you want to make sure that you don’t end up footing bills that are higher than they’d have to be. Keeping a look out for the signs that you need repairs can help you to ensure that you get the most out of your appliances and keep your wallet protected. At Columbus Appliance Masters, we’re here to help the South Linden folks keep things running right. There are quite a few obvious signs that you may need appliance repairs in your South Linden home. For one thing, some of your appliances may stop working altogether. For example, if your dishwasher won’t turn on, then you know it’s time to opt for appliance repairs. While you may think that putting off dishwasher repairs and washing your dishes by hand will save you a bit of money, the truth is that you may end up paying more on your water bills by doing things this way, since dishwashers are more efficient than hand washing. If it’s obvious that your appliance is broken, then you need to secure dishwasher repairs right away. Having your dishwasher up and running again will be more energy efficient and cut down on water usage, and you won’t have to drive all over Columbus looking to buy a new one and spend a large amount on a replacement unit. Sometimes, the signs that you need repairs for your South Linden home appliances are not so obvious. Many appliances will still turn on but will not function in the appropriate way, and this could cause you serious inconvenience as well as increase your household bills. As such, you should look for signs that they’re not working to the best of their ability. One of the major signs that you need appliance repair can actually be found in your Columbus energy bills. While you may not have noticed that it takes your dryer a lot longer to get your clothes dry, you will definitely notice a rise in the costs of your electricity bills if cycles are taking longer. When you first start to notice that your costs are rising, it’s a good idea to begin looking around your home to see if your appliances are performing in top condition. If your AC is working too hard, then this might be causing your bills to increase, and you may need to consider air conditioner repair. If you don’t take the initiative to hire local, South Linden area appliance repair professionals right away to secure expert air conditioner repair, then you could stand to lose a lot of money in the long run. Columbus Appliance Masters Loves Helping Our South Linden Area Neighbors! The best way to make sure that your finances are protected is to get repairs as soon as you can. While you may think that you can save some money by putting off refrigerator repair, the truth is that waiting usually ends up costing you more. Appliance problems can go from bad to worse in no time at all, so it’s best if you don’t take any chances. You should either find a way to perform refrigerator repair on your own at home, or you should contact a professional repair service to help you get your home appliances running in good condition once more. If you’re not sure who to call, ask your South Linden area neighbors for a recommendation. There’s a good chance you’ll hear the Columbus Appliance Masters name come up. Do you hate waiting for a whole day for an scheduled appointment? This dilemma is already solved because Columbus Appliance Masters gives you a 3-hour scheduled appointment window. You will receive a call from the technicians 20 minutes before their arrival so you can easily adjust the time if you are not in the house. We also work on-site so that the clients will see how we work with the appliance fixes. We already have all of the components required for the repairs so you do not have to buy from other stores. If we don’t have the parts in our truck, we are getting them on our place without extra charges. If you don’t have cash, we accept all major credit cards. We are currently providing 15% discount to our services if you will state that you found use on the net before making an scheduled appointment with us. We will give you a free written estimate on the probable expenses of the fixes. This is going to be a excellent help in making a decision to the appliance or not. We have friendly and educated phone staffs that are willing to help you anytime of the day. Just give us a call and inquire concerning everything that you will require to know. For those in the Hungarian Village area of Columbus, noticing when you need repairs for your appliances can help you save money. Fixing a broken appliance at the start can often prevent the need for a costly replacement appliance. Paying attention to how well your appliances are performing is a good idea if you want to make sure that you don’t end up footing bills that are higher than they’d have to be. Keeping a look out for the signs that you need repairs can help you to ensure that you get the most out of your appliances and keep your wallet protected. At Columbus Appliance Masters, we’re here to help the Hungarian Village folks keep things running right. There are quite a few obvious signs that you may need appliance repairs in your Hungarian Village home. For one thing, some of your appliances may stop working altogether. For example, if your dishwasher won’t turn on, then you know it’s time to opt for appliance repairs. While you may think that putting off dishwasher repairs and washing your dishes by hand will save you a bit of money, the truth is that you may end up paying more on your water bills by doing things this way, since dishwashers are more efficient than hand washing. If it’s obvious that your appliance is broken, then you need to secure dishwasher repairs right away. Having your dishwasher up and running again will be more energy efficient and cut down on water usage, and you won’t have to drive all over Columbus looking to buy a new one and spend a large amount on a replacement unit. Sometimes, the signs that you need repairs for your Hungarian Village home appliances are not so obvious. Many appliances will still turn on but will not function in the appropriate way, and this could cause you serious inconvenience as well as increase your household bills. As such, you should look for signs that they’re not working to the best of their ability. One of the major signs that you need appliance repair can actually be found in your Columbus energy bills. While you may not have noticed that it takes your dryer a lot longer to get your clothes dry, you will definitely notice a rise in the costs of your electricity bills if cycles are taking longer. When you first start to notice that your costs are rising, it’s a good idea to begin looking around your home to see if your appliances are performing in top condition. If your AC is working too hard, then this might be causing your bills to increase, and you may need to consider air conditioner repair. If you don’t take the initiative to hire local, Hungarian Village area appliance repair professionals right away to secure expert air conditioner repair, then you could stand to lose a lot of money in the long run. Columbus Appliance Masters Loves Helping Our Hungarian Village Area Neighbors! The best way to make sure that your finances are protected is to get repairs as soon as you can. While you may think that you can save some money by putting off refrigerator repair, the truth is that waiting usually ends up costing you more. Appliance problems can go from bad to worse in no time at all, so it’s best if you don’t take any chances. You should either find a way to perform refrigerator repair on your own at home, or you should contact a professional repair service to help you get your home appliances running in good condition once more. If you’re not sure who to call, ask your Hungarian Village area neighbors for a recommendation. There’s a good chance you’ll hear the Columbus Appliance Masters name come up. Are you one of the individuals who hate to wait for an consultation? Columbus Appliance Masters gives a 3-hour appointment window to customers. Our technicians are going to be calling you 20 minutes before they arrive to make sure that you are in the house when they go there. All of our services are done on-site so the customers will see how we work with the fixes. All the parts needed to fix your appliances are already accessible in our truck. If we do not have the parts needed, we will go back to our place of work and get the parts without late payment fees. We are also accepting all major credit cards in case you do not have cash. We check the appliances first before we start the repairs and we will give you a free written estimate on the possible price of the service. This will help you decide if you will let us continue with work or not. We also offer 15% off on all of our services if you will us that you found our services on the net upon setting the consultation. We have phone staffs that are always ready and knowledgeable on the services that we are providing and you can ask them anything that you’ll require to know with regard to the services that we provide. For those in the Edgewood Acres area of Columbus, noticing when you need repairs for your appliances can help you save money. Fixing a broken appliance at the start can often prevent the need for a costly replacement appliance. Paying attention to how well your appliances are performing is a good idea if you want to make sure that you don’t end up footing bills that are higher than they’d have to be. Keeping a look out for the signs that you need repairs can help you to ensure that you get the most out of your appliances and keep your wallet protected. At Columbus Appliance Masters, we’re here to help the Edgewood Acres folks keep things running right. There are quite a few obvious signs that you may need appliance repairs in your Edgewood Acres home. For one thing, some of your appliances may stop working altogether. For example, if your dishwasher won’t turn on, then you know it’s time to opt for appliance repairs. While you may think that putting off dishwasher repairs and washing your dishes by hand will save you a bit of money, the truth is that you may end up paying more on your water bills by doing things this way, since dishwashers are more efficient than hand washing. If it’s obvious that your appliance is broken, then you need to secure dishwasher repairs right away. Having your dishwasher up and running again will be more energy efficient and cut down on water usage, and you won’t have to drive all over Columbus looking to buy a new one and spend a large amount on a replacement unit. Sometimes, the signs that you need repairs for your Edgewood Acres home appliances are not so obvious. Many appliances will still turn on but will not function in the appropriate way, and this could cause you serious inconvenience as well as increase your household bills. As such, you should look for signs that they’re not working to the best of their ability. One of the major signs that you need appliance repair can actually be found in your Columbus energy bills. While you may not have noticed that it takes your dryer a lot longer to get your clothes dry, you will definitely notice a rise in the costs of your electricity bills if cycles are taking longer. When you first start to notice that your costs are rising, it’s a good idea to begin looking around your home to see if your appliances are performing in top condition. If your AC is working too hard, then this might be causing your bills to increase, and you may need to consider air conditioner repair. If you don’t take the initiative to hire local, Edgewood Acres area appliance repair professionals right away to secure expert air conditioner repair, then you could stand to lose a lot of money in the long run. Columbus Appliance Masters Loves Helping Our Edgewood Acres Area Neighbors! The best way to make sure that your finances are protected is to get repairs as soon as you can. While you may think that you can save some money by putting off refrigerator repair, the truth is that waiting usually ends up costing you more. Appliance problems can go from bad to worse in no time at all, so it’s best if you don’t take any chances. You should either find a way to perform refrigerator repair on your own at home, or you should contact a professional repair service to help you get your home appliances running in good condition once more. If you’re not sure who to call, ask your Edgewood Acres area neighbors for a recommendation. There’s a good chance you’ll hear the Columbus Appliance Masters name come up. Columbus Appliance Masters will offer you a 3-hour consultation window so you won’t require to wait for a whole day. Mechanics will call you with regards to 20 minutes before they arrive in your location for the fixes. They are going to do this so you will know that they are coming. Our on-site service is one of the reasons why many folks are always availing our services. We will your appliances on-site and all the components that we require are filled on our truck already. If the parts are not accessible in our truck, we will get the parts without additional fees. If you do not have cash, we are accepting major credit cards so you won’t have complications with payment. We provide 15% off our services to our neighbors from the Edgewood Acres area as well if you will state that you found us on the web whenever you make an scheduled appointment with us. We also have the best and the most friendly phone staffs to help you any time you need help. You simply require to contact us and ask anything that you want to know. For those in the Clinton Estates area of Columbus, noticing when you need repairs for your appliances can help you save money. Fixing a broken appliance at the start can often prevent the need for a costly replacement appliance. Paying attention to how well your appliances are performing is a good idea if you want to make sure that you don’t end up footing bills that are higher than they’d have to be. Keeping a look out for the signs that you need repairs can help you to ensure that you get the most out of your appliances and keep your wallet protected. At Columbus Appliance Masters, we’re here to help the Clinton Estates folks keep things running right. There are quite a few obvious signs that you may need appliance repairs in your Clinton Estates home. For one thing, some of your appliances may stop working altogether. For example, if your dishwasher won’t turn on, then you know it’s time to opt for appliance repairs. While you may think that putting off dishwasher repairs and washing your dishes by hand will save you a bit of money, the truth is that you may end up paying more on your water bills by doing things this way, since dishwashers are more efficient than hand washing. If it’s obvious that your appliance is broken, then you need to secure dishwasher repairs right away. Having your dishwasher up and running again will be more energy efficient and cut down on water usage, and you won’t have to drive all over Columbus looking to buy a new one and spend a large amount on a replacement unit. Sometimes, the signs that you need repairs for your Clinton Estates home appliances are not so obvious. Many appliances will still turn on but will not function in the appropriate way, and this could cause you serious inconvenience as well as increase your household bills. As such, you should look for signs that they’re not working to the best of their ability. One of the major signs that you need appliance repair can actually be found in your Columbus energy bills. While you may not have noticed that it takes your dryer a lot longer to get your clothes dry, you will definitely notice a rise in the costs of your electricity bills if cycles are taking longer. When you first start to notice that your costs are rising, it’s a good idea to begin looking around your home to see if your appliances are performing in top condition. If your AC is working too hard, then this might be causing your bills to increase, and you may need to consider air conditioner repair. If you don’t take the initiative to hire local, Clinton Estates area appliance repair professionals right away to secure expert air conditioner repair, then you could stand to lose a lot of money in the long run. Columbus Appliance Masters Loves Helping Our Clinton Estates Area Neighbors! The best way to make sure that your finances are protected is to get repairs as soon as you can. While you may think that you can save some money by putting off refrigerator repair, the truth is that waiting usually ends up costing you more. Appliance problems can go from bad to worse in no time at all, so it’s best if you don’t take any chances. You should either find a way to perform refrigerator repair on your own at home, or you should contact a professional repair service to help you get your home appliances running in good condition once more. If you’re not sure who to call, ask your Clinton Estates area neighbors for a recommendation. There’s a good chance you’ll hear the Columbus Appliance Masters name come up. If you’re not the type of person who wants to wait, Columbus Appliance Masters will offer you a 3-hour consultation window. Our mechanics will call you first before they go there. They will call you 20 minutes before they arrive. They are doing this so you will know that they are coming. We are very popular in our area because we offer on-site repairs to our customers. We will your appliances on-site and all the parts that we need are filled on our truck already. In the unlikely event that we find that we don’t have the components in our truck, you do not have to pay for the return trip. That’s down to us. With regards to payments, you can use any kind of major credit card if you don’t have cash. We usually check the appliances before we begin fixing it. After that, we will give you a free written estimation on the price of the service. You can decide to continue with the fixes or not. It is possible to also get discounts on our services. Just state that you found our services upon setting an consultation and you will get 15% discount. If you have any issues or concerns regarding the services that we are providing, it is possible to call us and our phone staff will handle all your issues. It is possible to ask them anything that you want to know regarding our services.